Pasta is a deliciously versatile food that can be served as a mid-day meal or evening dinner. 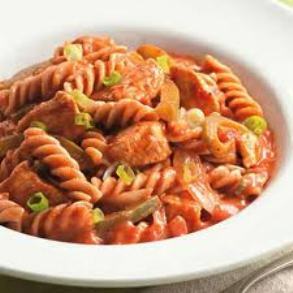 On its own however, pasta may not be filling enough to keep you satisfied throughout the afternoon or night. In this case, pasta can be served as part of a meal as a side dish. Pasta also serves as a great side dish for potluck meals, family events, and celebratory meals and at buffet restaurants. Try the top 10 pasta side dish recipes listed to add variety and flavor to your own weekly meal rotation. Combine pasta with the fresh-tasting flavors of tomatoes and arugula for a nutritious spin on pasta side dish recipes. Ladies Home Journal cooks penne pasta and adds arugula, chopped tomatoes, salt and pepper and fresh mozzarella cheese for a pasta dish that is low in fat. 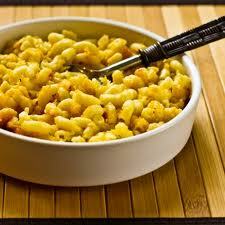 Macaroni and cheese is a comfort food that is loved by kids, adults, men and women. Although tasty it can also be high in calories and fat when eaten as a main meal or in excess. 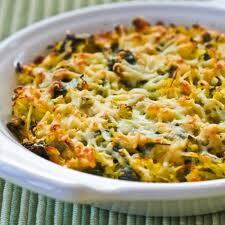 Serve a baked macaroni and cheese meal that can be enjoyed in moderation as a pasta side dish. Add some green to your pasta side dish with recipes that include peas or asparagus such an Asparagus Linguine recipe from Taste of Home. Asparagus is a nutritional all-star as it is low in calories, has little to no fat per serving and can help relieve bloating by acting as a diuretic. 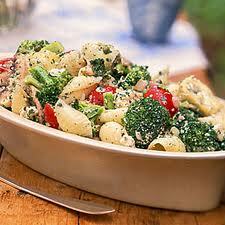 Cooks appreciate pasta for its versatility, meaning it can be paired with most foods including vegetables and meats. Create a chicken pasta side dish by simply adding chopped up grilled chicken breast to a small serving of pasta seasoned with herbs, garlic and lemon juice. 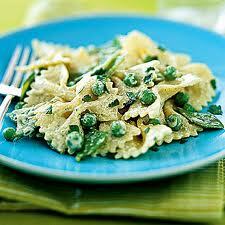 Most pasta side dish recipes you will find in cookbooks and on the internet are pasta salad recipes. 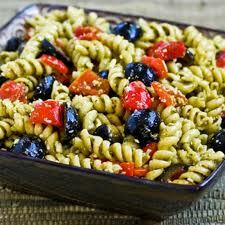 Pasta salad makes a healthy and filling addition to a main-course menu that is heavier in protein. 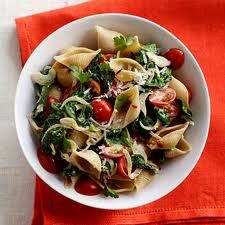 Combine pasta noodles with chopped tomatoes, spinach, zucchini and shredded carrots for a nutrient rich salad. If you are seeking a rich side dish to serve to family or guests, try a buttery egg noodles recipe that is sure to please even the pickiest eaters. 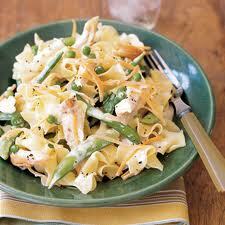 This creamy side dish is also easy to prepare and consists of egg noodles, butter, chicken broth and water. 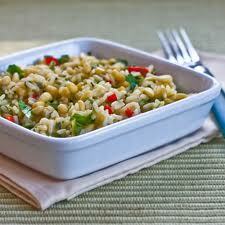 A pasta bean salad can be a filling mid-day meal or a side dish to serve with dinner. 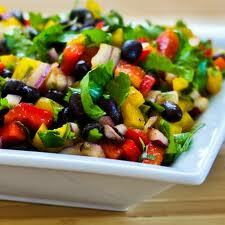 Add cooked black beans, diced tomatoes and a whole-grain such as couscous to pasta for a Black Bean and Couscous Salad high in protein and fiber. 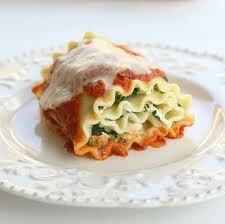 Food.com recommends Pasta Rolls, also known as Rotoli Di Pasta as a favorable side dish for pasta lovers. Try making your own rolls by making homemade dough and then stuffing it with cheese, spinach and marinara sauce. Make a delicious pasta bake by combining cooked pasta with chopped broccoli florets, diced onions, sauce and cheese in a large baking dish. Simply bake at approximately 350 degrees for 30 to 45 minutes or until the top layer has turned a golden, bubbly brown. It’s hard to turn down a pasta dish when cheese is involved. The combination of cheese and pasta resonates a relaxing, comforting feeling that is ideal for late evenings after work or when you’re feeling down in the dumps. Try this Cheesy Rice with Garlic and Thyme recipe but with the addition of cooked bow-tie pasta shapes or even buttery fettuccine noodles.